With temperatures going up and down like a yo-yo, you’ll be seeing a lot of potholes on our roads — a problem that costs the city millions of dollars to repair every year. But a group of engineers at the University of Waterloo might have a high-tech way to spot the sometimes devastating divots before they form and save taxpayers a lot of money. The freeze-thaw cycle causes water to expand and melt inside the concrete of our roadways. The weak spots crack and break off, creating the potholes we all know and hate. Since the beginning of 2019, the city of Toronto has repaired 13,467 potholes. The annual average is about 200,000. “We have people out there patrolling our roadways 24/7 during the winter months,” said Mark Mills, the city’s superintendent of road operations. He says the city also relies on people reporting potholes to the city hotline by calling 311. The city tries to repair a pothole within four days of finding out about it. Should you damage your car driving driving over one, you may be eligible for compensation from the city. “If somebody feels that they want to file a claim against the city they can go onto our web site toronto.ca and search pothole claims,” Mills said. 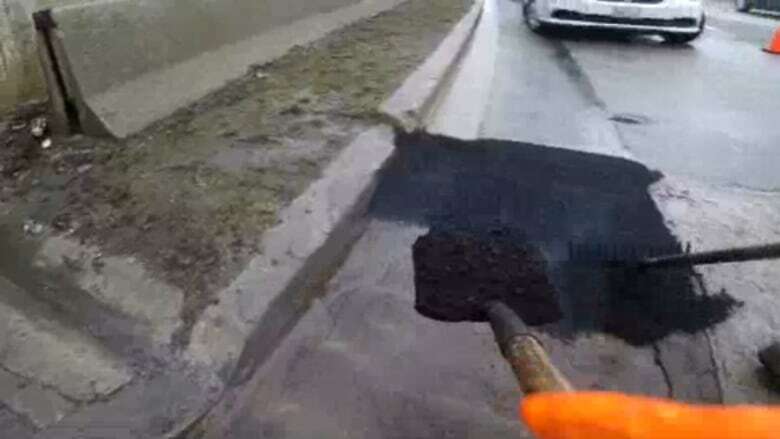 The City of Toronto budgets $4 million to $5 million per year for pothole repairs. Each pothole costs about $25 to fix the first time. During the winter when it’s still cold, crews will use cold-mix concrete to patch up the road. “Which is more of a temporary fix,” said Mills. The real repair doesn’t happen until the summer. “Once we get our asphalt plant open we can get hot mix asphalt; that is more of a permanent repair,” he said. It turns out, there could be. 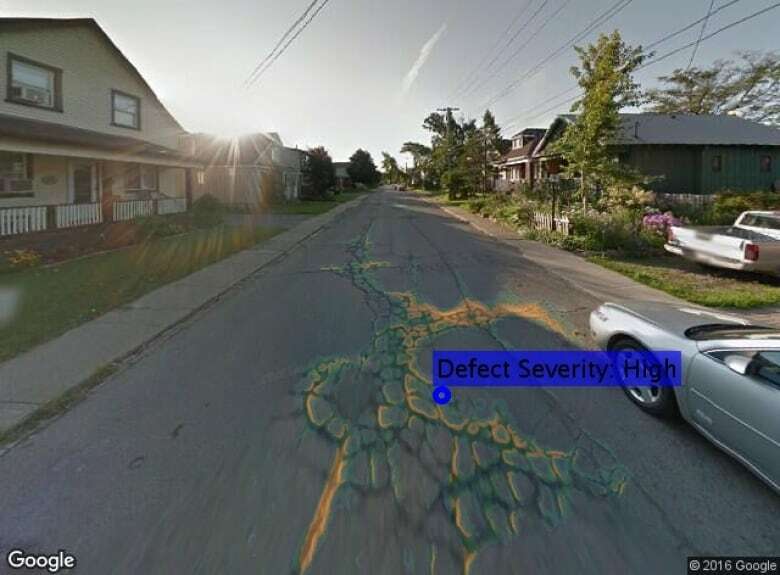 Researchers at the University of Waterloo have been experimenting with artificial intelligence to log problem areas before they turn into potholes. “This type of research that we’re doing at the university focuses on video analytics,” said John Zelek, an associate professor of engineering at the school. A camera is mounted on a vehicle, which scans the road as it drives, logging the characteristics of different cracks and craters in the pavement. “Computing the specifications of that particular distress. The length, the width, the depth, things of that nature,” Zelek explained. Zelek says collecting this data ahead of pothole season will allow municipalities to prevent potholes instead of reacting to them once they form. The city budgets $4 million to $5 million a year for pothole repairs. 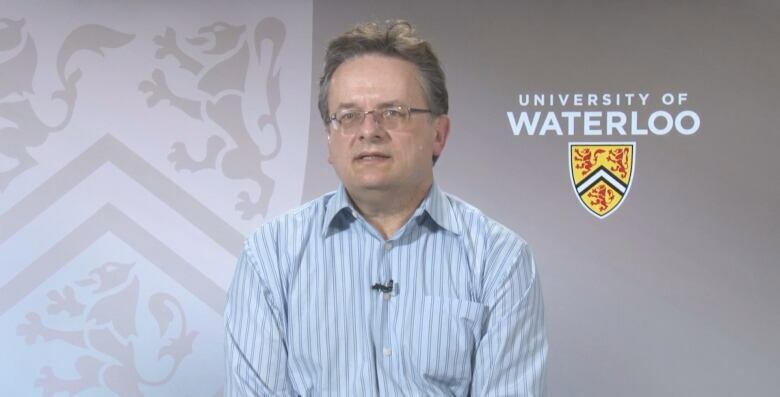 The AI technology the Waterloo researchers have been working with would cost $5 a kilometre. “A city like Waterloo has 837 kilometres of roadway,” said Zelek, breaking down the potential savings using AI. “If you calculate how much patrolling [cities] do in a year, the major roads are patrolled twice a week, most roads every couple of weeks and minor roads are patrolled every month,” he said. Zelek says city infrastructure departments could start incorporating AI into their tool belt within a couple of years.